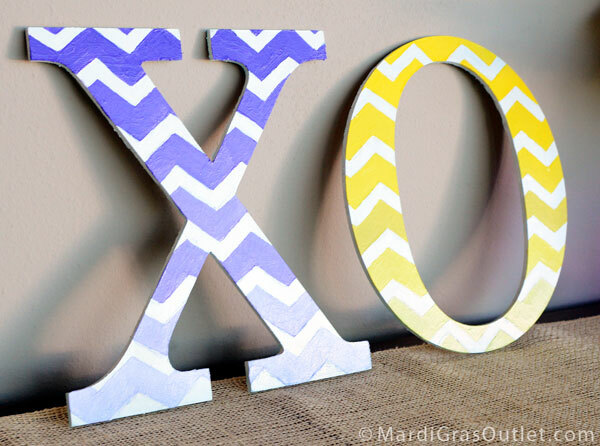 We love chevron stripes! 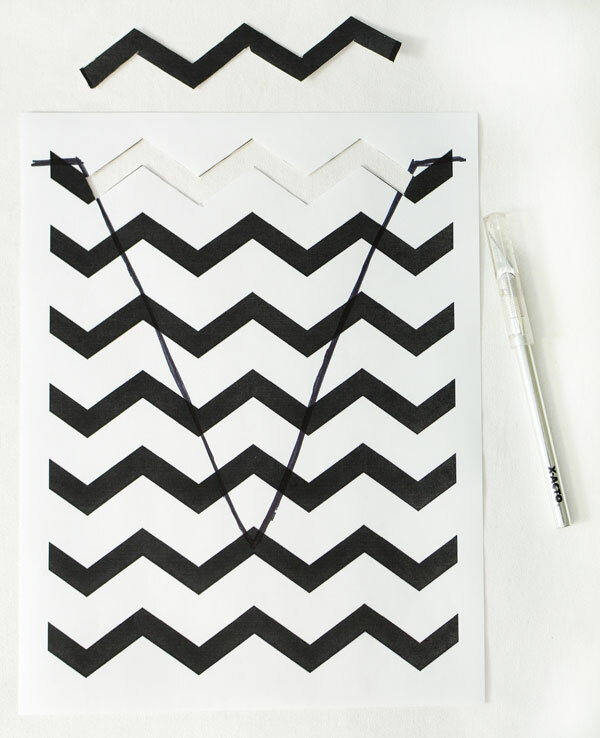 This new printable stencil allows us to add this fun zigzag pattern to any surface we want. Just imagine the possibilities! Paint fabric, ribbon, table runners, gift bags, walls, letters or any thing you can imagine using this easy stencil. 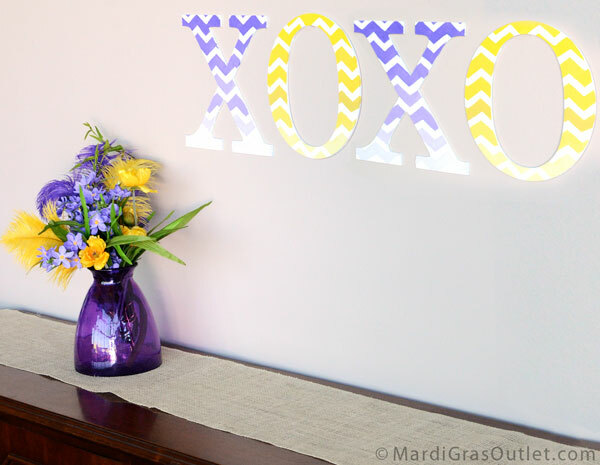 Keep reading to see how easy it is to use this Chevron patterned stencil. We updated our plain burlap bunting banner with a chevron pattern and customized plain wooden decorative letters with a ombre chevron pattern. Print out the page, using your desktop home printer or bring the file to a copy or print center. You can print them using regular copy paper or card-stock paper, which may create a better stencil. 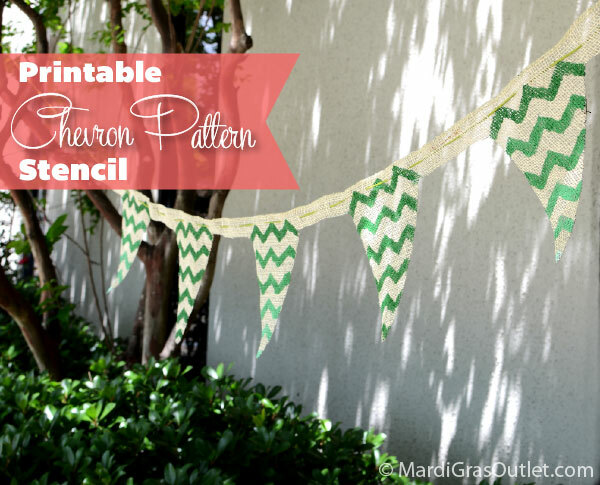 For our Chevron Stripe project, we are going to make a no-sew burlap pennant banner with an ombre painted pattern. For directions on how to make the banner, please see our previous post, DIY Burlap Pennant Banner. 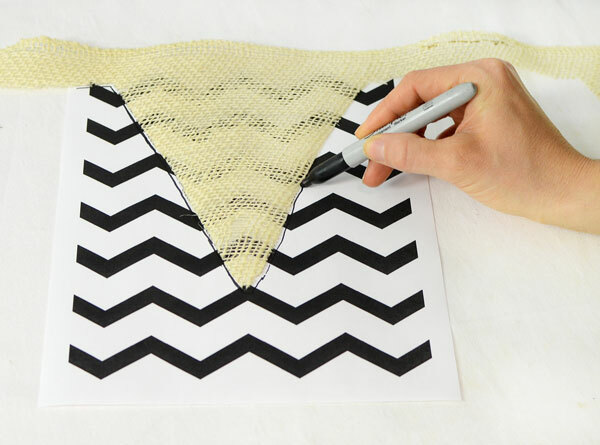 After you have printed out a copy of the chevron pattern, place it underneath one of the burlap flags and make an outline with a dark marker. With a small craft blade, cut out your stencil. Be sure to have cardboard or a self-healing mat beneath the paper to keep your crafting area free from scratches. Using the outline as a guide, cut out the stripes so that they reach out a little further than your marker lines. Cut out the black stripes to create thin lines, and cut out the white stripes to create thick lines. Once you have cut out all the stripes, place the stencil on top of your flag. Before you begin painting, make sure you have something underneath your flag and stencil to prevent paint from leaking through onto other surfaces. Apply color! You can either paint all of your stripes the same color or use an ombre effect (see below for a how to create an ombre color palatte). Be sure to push down on the stencil or tape it to your surface of the burlap so you do not get paint under the stencil. If you are using solid colors, you can make each flag a different color or use spray paint to make the painting process even faster. Allow the paint to dry before hanging. Perfect for indoor parties and backyard gatherings, the basic burlap pennant banner is versatile and easy to personalize! Here we used the same technique to paint a chevron pattern on our wooden decorative letters. We used varying degrees of color, a technique called ombre. 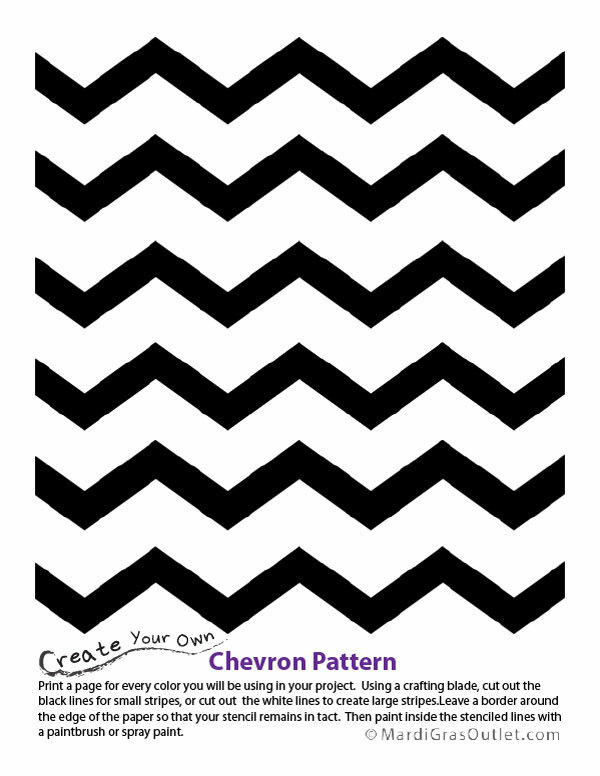 Using the chevron stencil, start off at the top zigzag stripe with the darkest color and move down to the lightest tint. 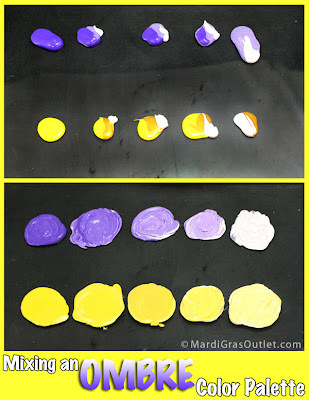 To create varying tints of paint, we used only two colors, one main color and white. On your paint mixing surface, create 3 areas of your main paint and one of white. 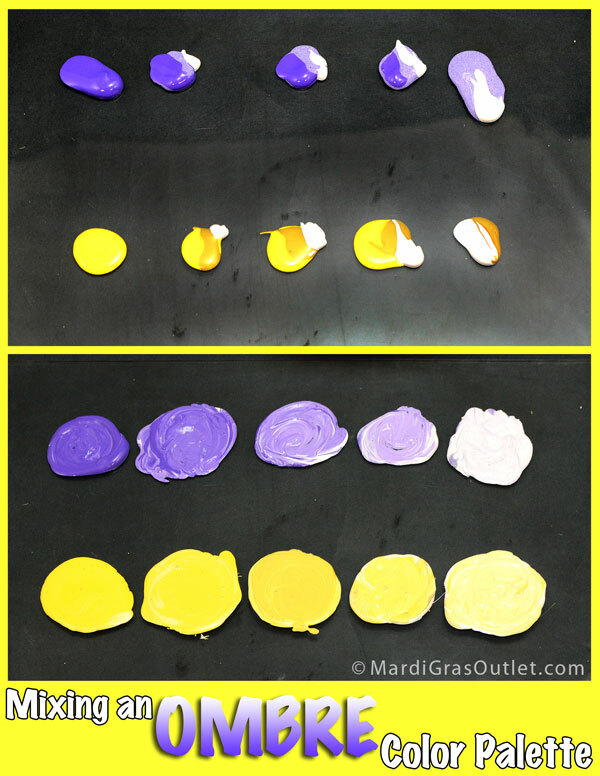 Add a few drops of white to two of the paint dollops, one with a few more drops to create a lighter color and one with less. Add just a tint of color to your white paint dollop and then you have created 4 shades of color in varying degrees, from dark with no white added to a light hue. For more styles of decorative letters and numbers to paint, click here. 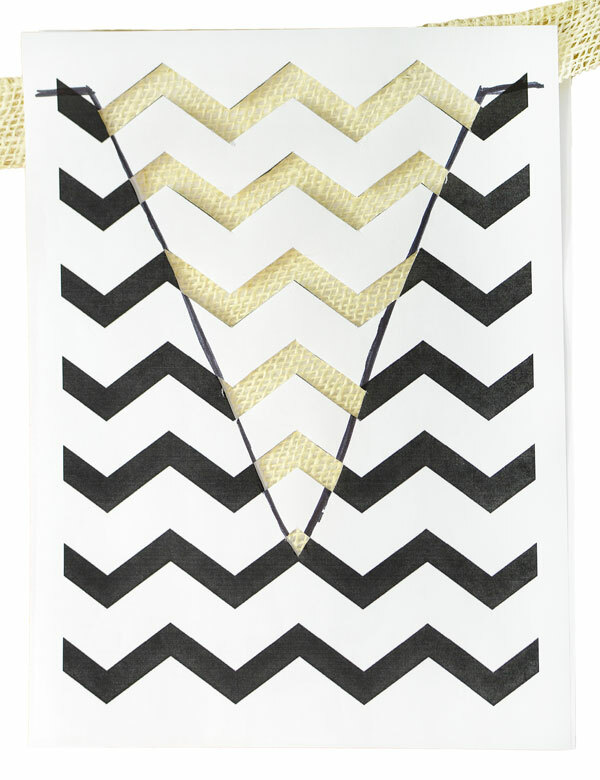 Are you as in love with the chevron stripe trend as we are? What are you going to paint with this Chevron Stencil Pattern? 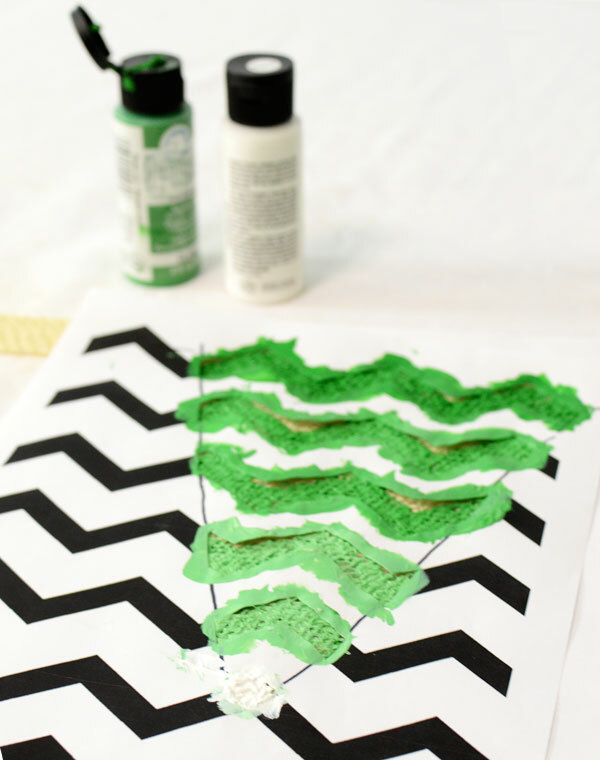 Thanks for the free printable chevron stencil and all of the great painting tips! Very clever and versatile!